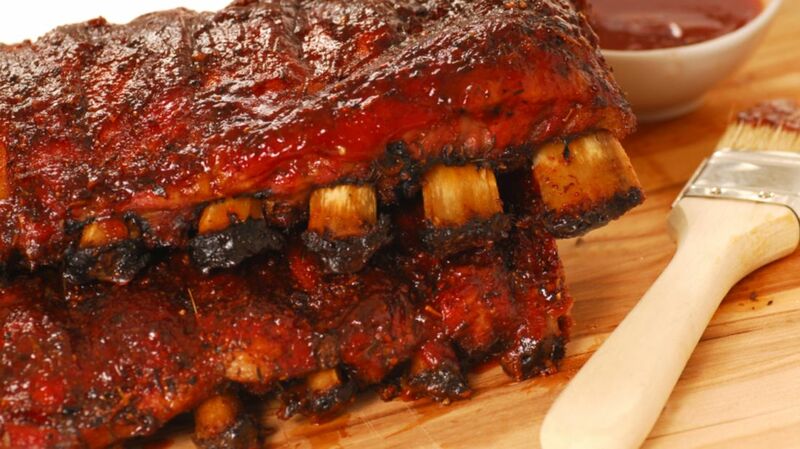 The days are getting longer, the weather’s getting warmer … time to fire up the grill! We asked Myron Mixon—a.k.a. the winningest man in barbeque, who started cooking with his dad when he was just 9 and has earned a staggering 1700 trophies in his career—for some tips to help you nail it this barbecue season. Barbecuing isn’t as easy as throwing some meat on a grill. “It is important to research and understand the process,” Mixon says. When he first started in competitions, he says, he had only trial and error to guide him, but now, there are many avenues available to the novice BBQ chef. “There is so much information out there,” he says. “Read cookbooks, take classes, search the Internet, watch shows. It will make you a better pitmaster.” It also helps to have a working knowledge of your equipment, so don't be afraid to read the user's manual! 3. HAVE A MEAT THERMOMETER—AND USE IT. Mixon likes vinegar-based sauces on pork, mustard-based sauces on poultry, and tomato-based spicy sauce on beef. “[Avoid] any sauce that's so overpowering that it masks the natural flavor of the meat,” he says. 5. … AND DON’T BE AFRAID TO EXPERIMENT WITH FLAVORS. “A little twist to flavors for your barbecue can be as simple as adding puréed fresh fruit to the sauce before being applied to the meat,” Mixon says. He recommends things like blueberries, strawberries, and applesauce. 6. KEEP THE SIDES SIMPLE. “For me, BBQ is a simple food with simple ingredients and the process is easy,” Mixon says. “My [side] dishes are the same.” He makes his mom’s fish slaw, which is made of coarse cut cabbage, diced tomatoes and onions, mayo, salt and pepper, and his peach BBQ beans, which he creates using baked beans, peach pie filling, and red bell peppers. 7. AND REMEMBER, YOU’RE THE BOSS.